SPRING VALLEY, MN (May 19, 2017) – Saturday’s Lucas Oil Late Model Dirt Series-sanctioned, NAPA North Star Nationals at Deer Creek Speedway has been canceled. 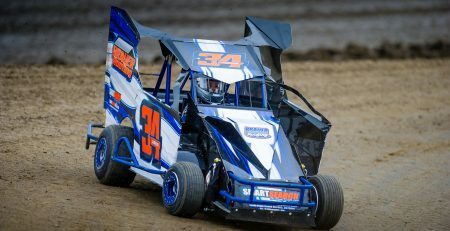 With the forecast for continued rain on an already heavily saturated track and facility, Speedway and Series officials have agreed to cancel the event. Speedway and Series officials had high hopes of hosting the event on Sunday. However, the forecast for overcast skies would not allow sufficient time for the grounds to dry out. Without no suitable makeup date, the Lucas Oil Late Model Dirt Series will return to Deer Creek Speedway in 2018. 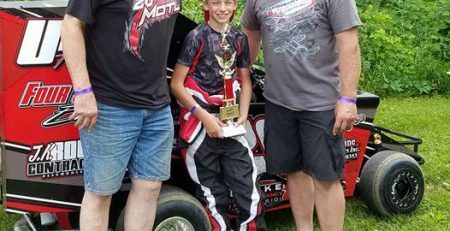 “The entire staff at Deer Creek Speedway have worked very hard to make this event possible,” said Rick Schwallie, Lucas Oil Late Model Dirt Series Director. “Unfortunately, with an outdoor sport, you’re at the mercy of the element and we’ve simply had too much rain with the forecast for more on the way. We look forward to returning to Deer Creek Speedway in 2018,” Schwallie added. 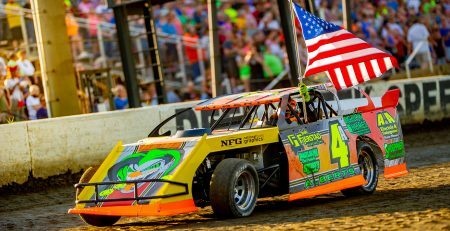 The tickets for the 2017 NAPA North Star Nationals can be refunded by calling the Deer Creek Speedway office at (507) 754-6107. 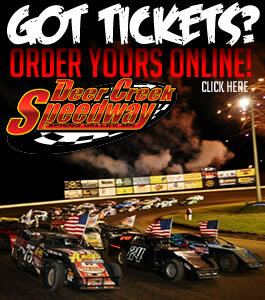 If you purchased tickets with cash or check, please mail your tickets to the Deer Creek Speedway office at: P.O. Box 591, Grand Meadow, MN 55936. Please include a self-addressed, stamped envelope. Tickets will not be refunded without calling the office or mailing with self-addressed, stamped envelope. No refunds will be issued after June 30, 2017.
Who Will Be Crowned “King Of The Creek” In 2017?